The right tool for the right people. Bring your signshop with you. 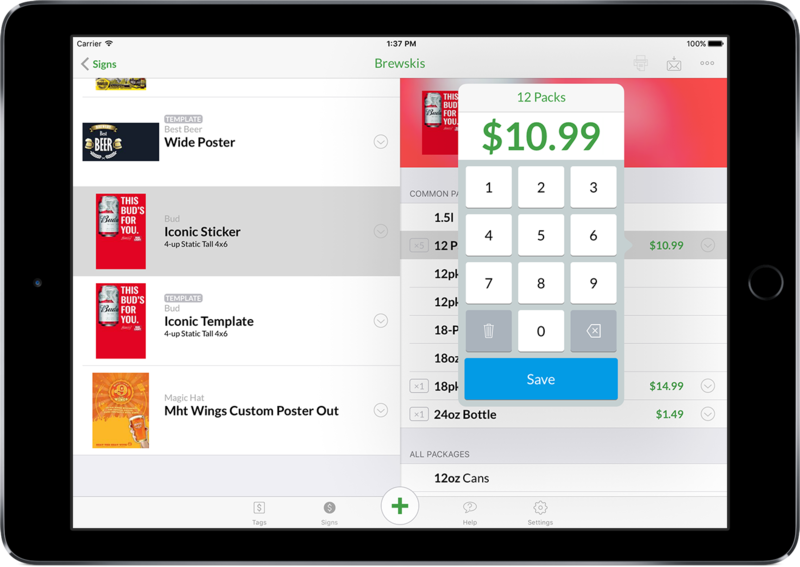 Whether you're making tags or signs, you've got access to all of your POS. 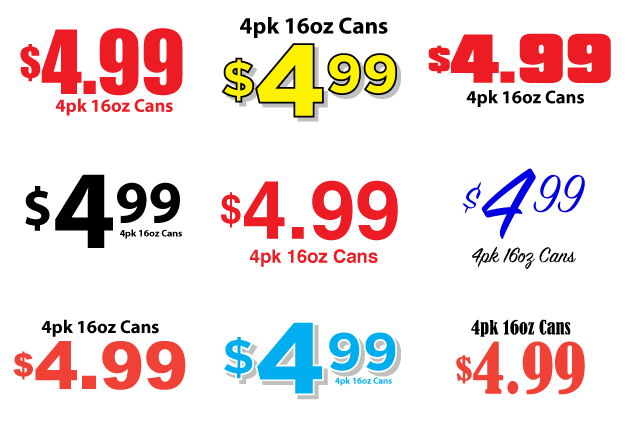 Just tap in what you need: brand, package and price. Hit send & your signshop prints, so you can get back to selling. World class app. iPhone or iPad. Because it's a real native app, you can be sure that Tagify fits right into your day-to-day tool set. Extras to make your day easier. 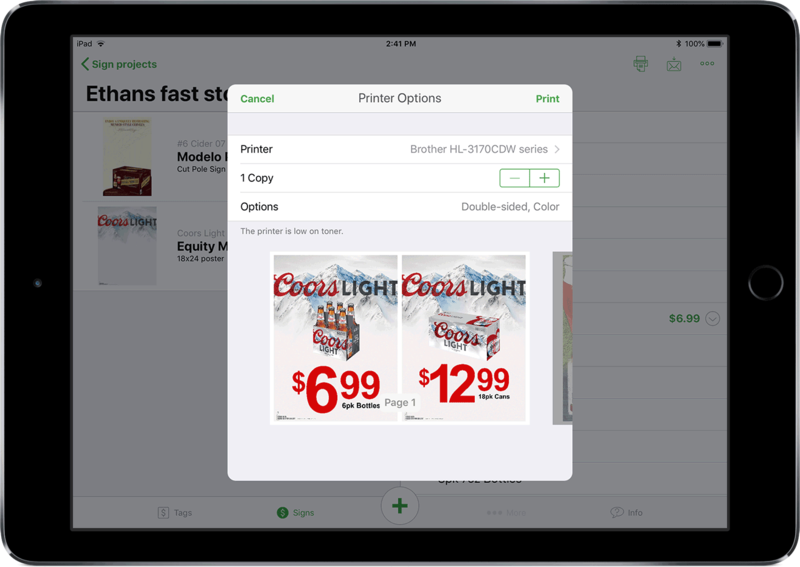 Not only can you easily preview your signage directly in the app, simply hit the print button and you're a mobile print shop. Tags, case & display cards, if you're printer can support it, Tagify can print it. Works anywhere, always in sync. Even when you're off the grid you still need to get things done. Tagify works exactly the same even when you lack an internet connection. The only time you need one is when you send your project to your signshop. When you organize your pricing by projects, you stay in control. 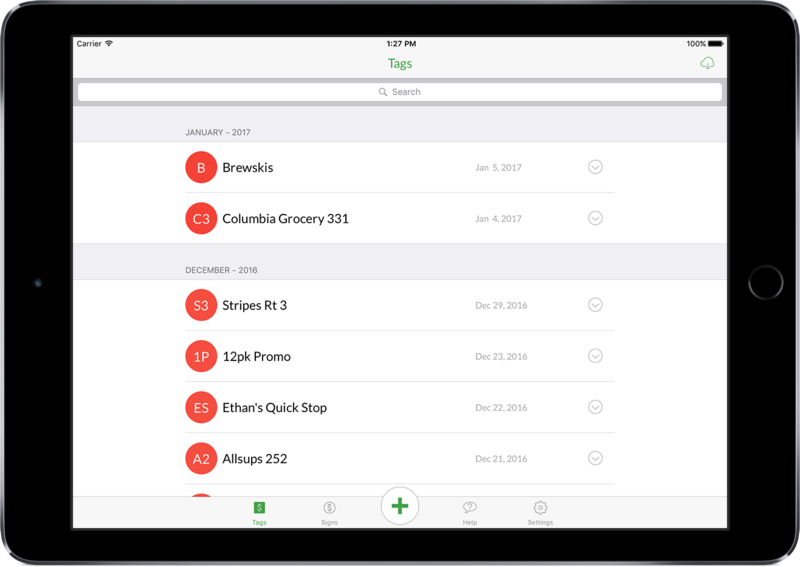 This is your project list, Tagify makes sure you're always organized and always backed up. 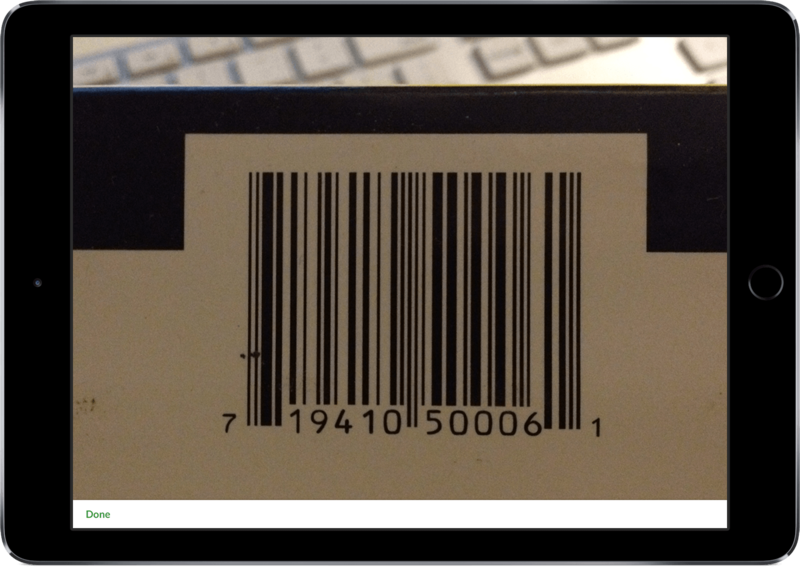 Once you teach Tagify your UPC's, shelf tags are as easy as hitting the camera button. Just scan and punch in a price. 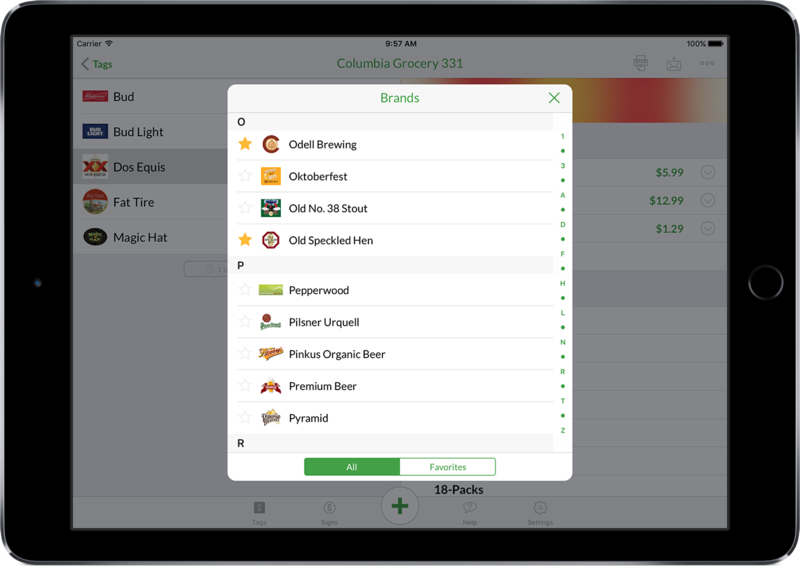 Just tap in your pricing, Tagify does the rest. No need to worry about formatting or hitting the wrong button. Tagify was built from the ground up to get you making signage fast. Still not sure? Need more info? Give us a call @ 662-417-3484 or email. as fast as you can type. Whether you're creating tags or signs, making them on the web is fast - really fast. Just type in what you need: brand, package and price. Hit download & print, then get back to work on the hard stuff. Any look, any style, any size. Whether it's graphics you create in-house or POS straight from your suppliers, Tagify gives you the power to use it all so your marketing is on point. 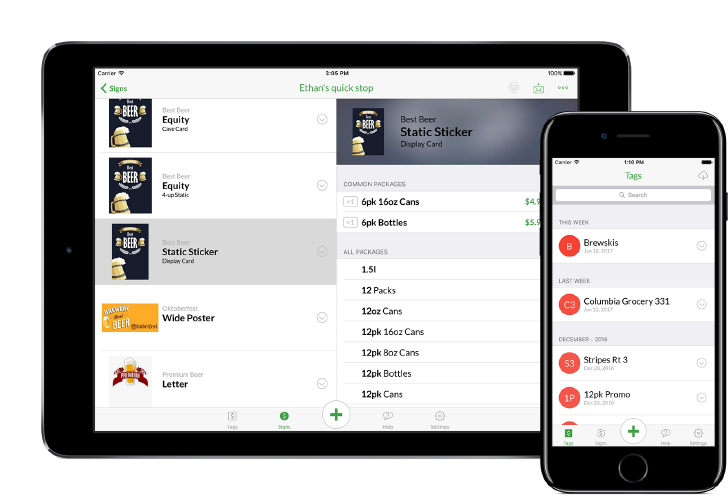 No more cookie cutter, generic looking POS. Use the real stuff so you can look perfect in the market. After you upload your graphics, you tell Tagify exactly how you want your signs to look. This includes using your own fonts, color schemes and price point style. This allows you to stay true to your brands by matching the right style to the right brand. With shelf tags, you pick a material and it fits perfect every time. With signage, you tell Tagify exactly what you're looking for. 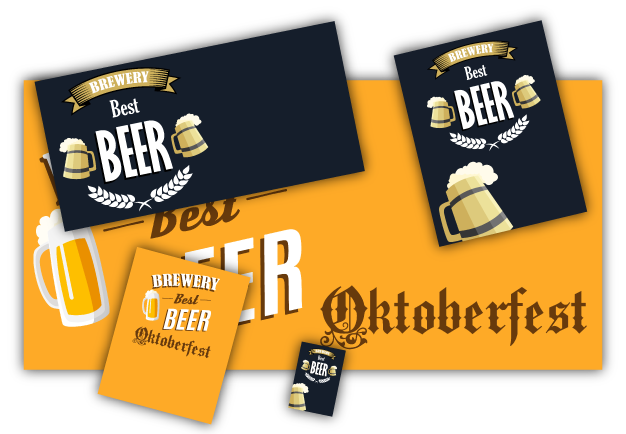 From shelf tags, table tents to banners, Tagify can do it all and more. Your signs - your look. 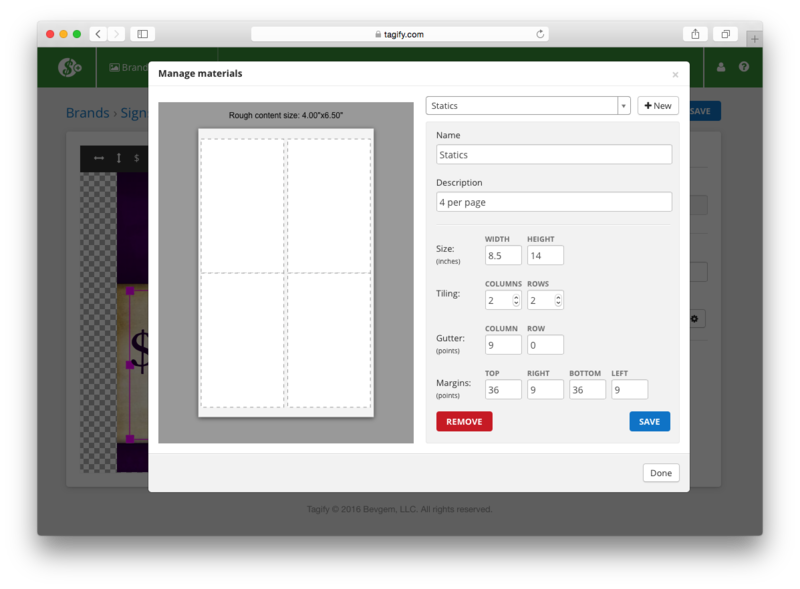 Adding your signage to Tagify is simple: just drag & drop. 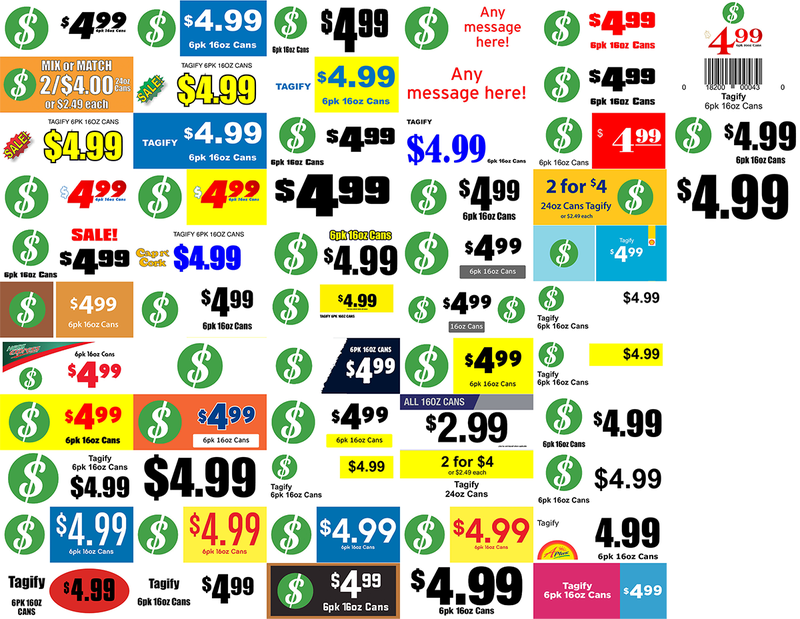 Then use the your fonts, colors and price point style. Your branding is perfect - every time. While great for accounting, sign request software only solves a small part of the problem. You're still making priced signage, one by one. Tagify creates signage that would otherwise be done by hand. It fits right in with any request software by actually making the signs your sales team submits. Looking to integrate Tagify with your current setup? Tons of extras to make your day easier. 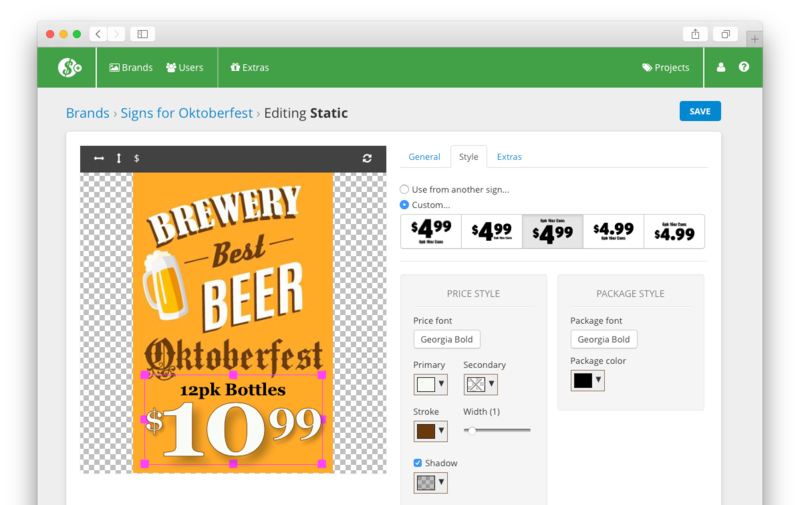 Adding your graphics is as simple as dragging and dropping your files, Tagify does the rest. 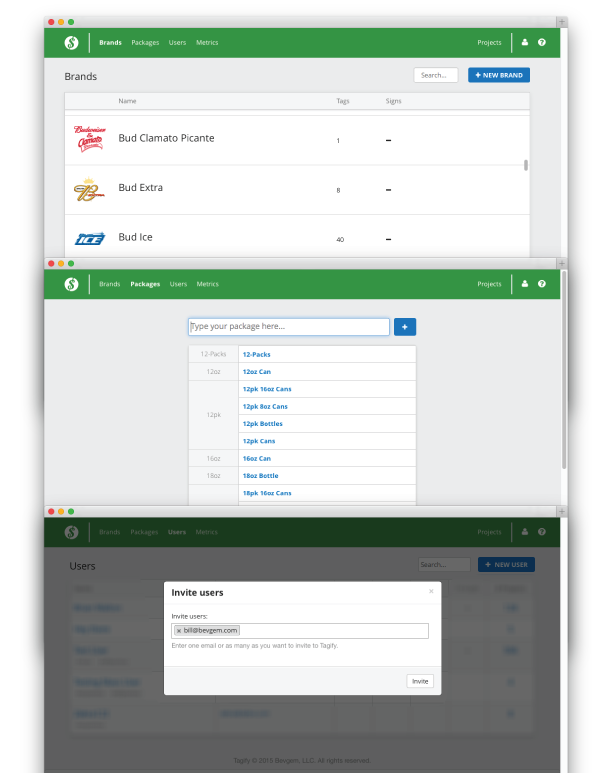 Getting your team using Tagify is as straighforward as adding their email addresses. Less time setting up and more time getting things done. When it comes to how your shelf tags look, Tagify makes that issue disappear. There's a high chance that there's a perfect style already loaded (general market or chain related). If not, we'll make it. No questions asked. For sign projects, it's really nice to have a receipt outlining exactly what's in a project. This speeds up delivery and accuracy. 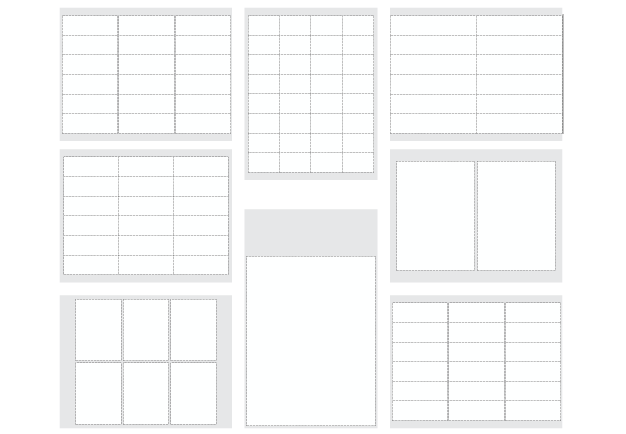 No matter the paper size, Tagify is ready. With shelf tag/small format materials, Tagify probably already has it pre-loaded. If not, you can create the exact material yourself with pin point precision. Working with large amounts of pricing? Chain sets? Sometimes it's just easier to work in Excel! 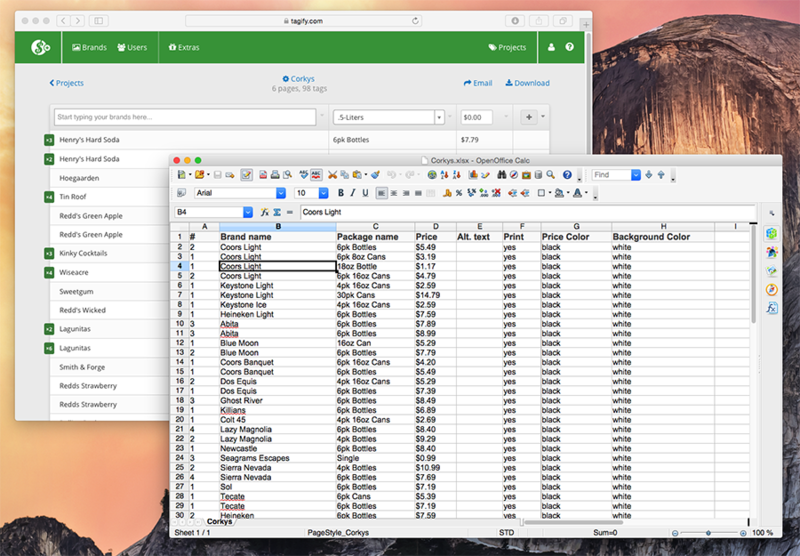 Tagify let's you import & export spreadsheets on your projects so you can work where you're comfortable.